This is a large, extensive beach close to a Ferrel village. Pico da Mota is situated in the north of Peniche municipality. It is little bit out of everything, surrounded by agricultural fields, thus Pico da Mota is quite a lonely spot. Good place if you want to find yourself alone with the waves. However, this spot is well known in the surfer’s community, since it was an alternative spot to Supertubos in 2009 during the ASP World Competition. 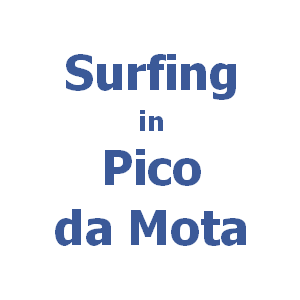 Pico da Mota is a surfing place with medium difficulty, better for surfers with certain experience. The ocean can be rough here. There is a sandy bottom and waves with right and left sections. Not too much crowded place. You will definitely like surfing here in Pico da Mota, so don’t miss this surf spot during your surf holidays in Portugal. The best wind blows from south or southeast. Favorable swells are from west and north. Pico da Mota is working well in all tides and the spot is quite consistent.